Weights of locomotives increased from 4 tons in the 1820’s to 100 tons by the 1930’s. By the 1960’s heavy freight wagons became the load criterion. 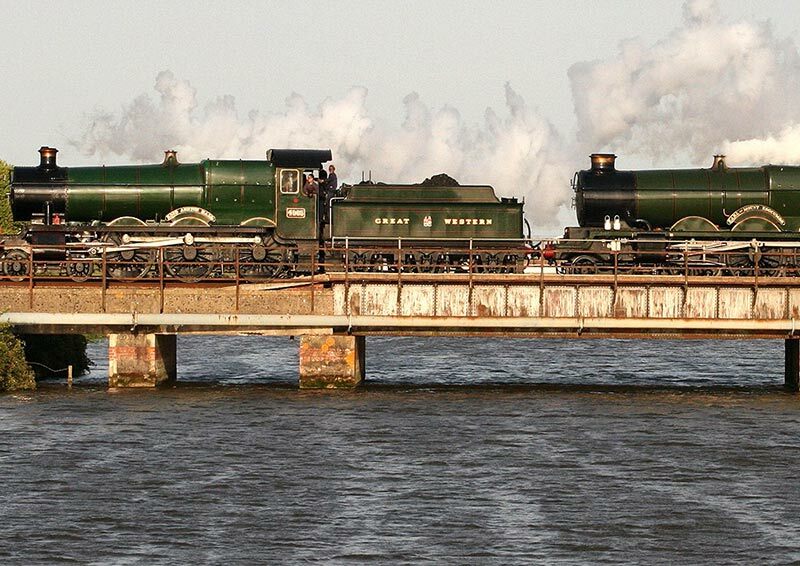 In the 19th Century bridge loading was merely taken as the weight of a locomotive divided by its length. Axle loading and impact was ignored, but large factors of safety in bridges were used. Rules were imposed following the Dee Bridge collapse in 1847. Cast iron girders were banned in 1891. British Standard train loading [RA1] was introduced in 1923, but there was no proper regard to dynamic effects until the Bridge Stress Committee Report of 1928. New loading representing diesel double-headed freight trains [UIC 71 or RU] was introduced in 1973, including the dynamic effects from both structure interaction and track irregularities. The Route Availability [RA] system [introduced by the LNER in WW2] based on RA1 loading is today used to control the loading on bridges and for vehicle acceptance. For high speed traffic [> 125 mph] additional criteria control resonance as affecting track stability and passenger comfort. Alan’s whole career has been in the design and construction of bridges. With a half century of experience he has designed and been involved with construction of more than 200 bridges, with eight national awards. He trained with British Railways as an Articled Apprentice from 1957, worked for contractors Dorman Long and Cleveland Bridge before becoming a senior designer with Mott hay and Anderson. Returning to contracting he was appointed Chief Engineer of Fairfield Mabey. In 1983 he co-founded Cass Hayward Consulting Engineers, bridge design specialists. Although now retired he is still a Consultant. Hobbies include cycling, watercolour painting and he runs a U3A Wine Appreciation Group.